We have previously touched upon the importance of creating a landing page, as well as many tips on how an authorpreneur can use data to drive people to this landing page. However, there is also an art to ensuring that your landing page doesn’t become a dead end. Your website needs to create the immediate desire to click through and purchase or sign up for something. It is important to realize that this is not a question of aesthetics, but one of user experience. Today we shall look at how you can improve the all-around user experience when it comes to your website. Your first point of action will be to review your website with a critical eye and identify all of the most common mistakes that are made. Once they have been identified they can easily be rectified. A first mistake is to overload your landing page with information, and not creating a proper focal point for your visitor. You have about 15 seconds to grab their attention and lead them to another step, so make sure that your page has a clear focal point and direction. Another mistake is being scared of white space: don’t be. Strategically used white space ensures your page is clear and uncluttered, which allows for your visitors to be immediately attracted to your main focal point. Play with drop downs and navigation menus too, as these can be great space savers and visually pleasing. At the same time, be aware that too much white space can also have an adverse effect. Tim Ferris – A best-selling nonfiction author about lifestyle design and living outside the typical rat race. Gretchen Rubin (The Happiness Project) – Best selling nonfiction author about happiness and its effect on people’s lives. 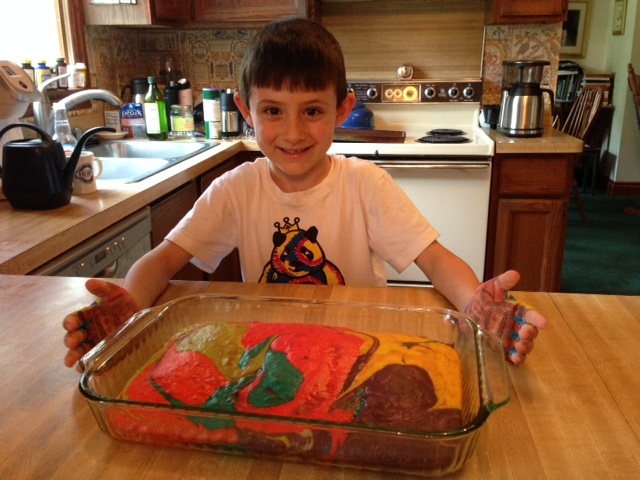 Basically, you want your visitor to be intrigued enough to dive deeper, and not bored so that they drop off. Ask friends and family for honest feedback and try to look at your work with an open eye. Would you be interested in what your website has to offer? As we have seen in previous articles it is in your best interest to analyze and then optimize your landing page to keep your visitor focused on what you have to offer them. So what type of user experience improvement techniques can you use to help you in your website design in general? Before you can really improve your user interface (UI), it really helps to understand who your users are, and their user experience (UX) in general. Visitors should immediately recognize that this is you and your work. At the same time, it can also be highly beneficial to add an element of surprise into that consistency, something that catches the eye, and intrigues the visitor without creating confusion. This could be a personalized recommendations section on the landing page or a colorful button that leads to an interactive feature. It could also be the use of different fonts and colors, and backgrounds. It can be a lot of fun to play around with contrasting colors, fonts, and backgrounds, but always remember that consistency and simplicity are key to keeping your visitors intrigued. Use visuals to your advantage, but stick to your brand image too – remember that your aim is to be recognizable amidst other authors in your genre. Other good UX areas to keep in mind are: providing users with information and feedback while they scroll, such as loading icons, or comprehensive error messages that let users know they have filled a form out incorrectly. Are people failing to fill out a form? Maybe it is too complicated! Think of ways that would create the best experience for you, ask your audience what they like and dislike, and implement the changes. Also don’t be hesitant to collaborate with others to gain more insight on how you can make your website more visually pleasing, user-friendly and efficient – in the end, your goal will always be to grow your brand, sell more of your work and expand your audience! Please let me know what works for you! 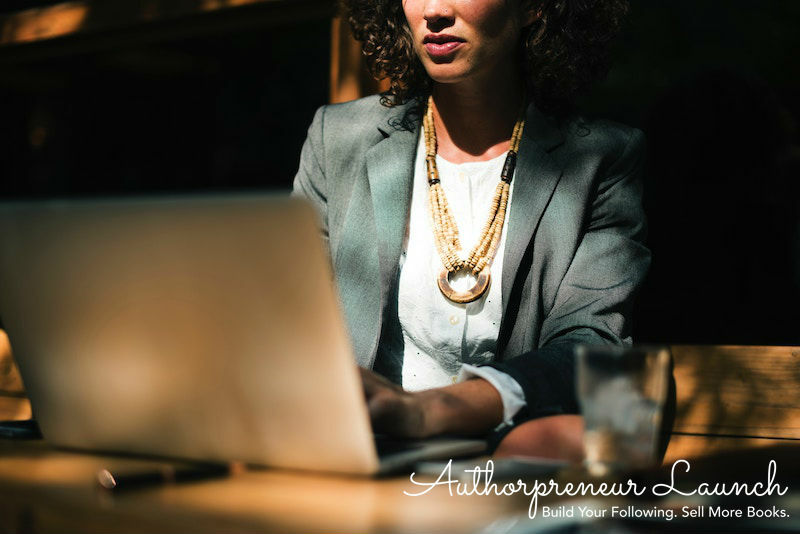 Hop on over to the AuthorpreneurLaunch Forum with questions or suggestions. I’ll get back to you asap. Click HERE now to tweet this tip! 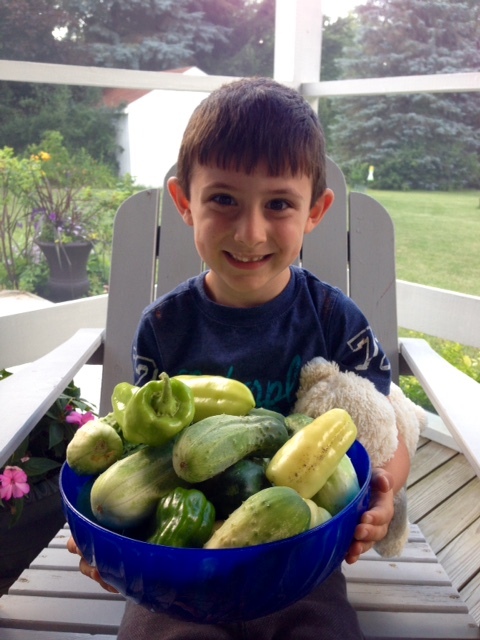 Photo of the Week: Picking cucumbers and peppers from my parents’ garden in Michigan.